When people decide to adopt or buy a pet animal, being it a dog, a cat, a rabbit or whatever else they prefer, most of them usually take the decision with their hearts. Animals are cute, we know that. And most people don’t think about the long term commitment required and too few of them will calculate the costs of caring for an animal before actually getting one. We know. Kids are guilty for that. 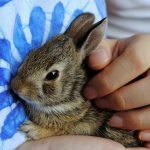 Before blaming our kids for making us buy an adorable bunny, let’s find out what are the costs of owning a rabbit. 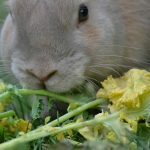 While rabbits may not seem different than other pets we may or may not own, they do have particularities we need to think of. There are all kinds of details we may not know beforehand, and there are hidden costs that come with them. For example, think about a rabbit’s life span compared to that of a hamster. Rabbits live a lot longer, which leads us to more money spent on the long term. Caring for a pet rabbit is a long term commitment, so make sure you’re prepared for it. 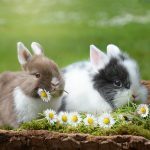 If you’re thinking to get yourself or your kids a rabbit, read on to find out more about the matter and analyze the costs of owning a rabbit. 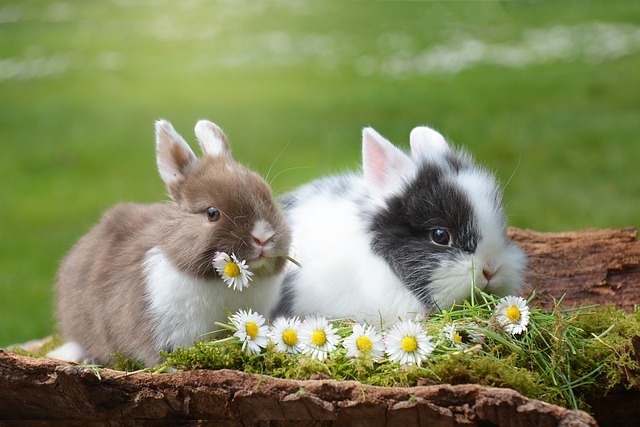 Buying your kids a pet rabbit may seem like a cheap option but when it comes to calculating the overall costs of owning a rabbit in detail, you’ll see it’s not that cheap anymore. First there’s the cost of buying a rabbit, which depends on the breed of that particular rabbit. If you’re buying from a pet store, a usual breed will cost you somewhere up to $40, while a rare breed will go up to about $100. Rather than buying the rabbit from a pet store, try finding a rescue center as in general it’s cheaper to adopt one than buy it. 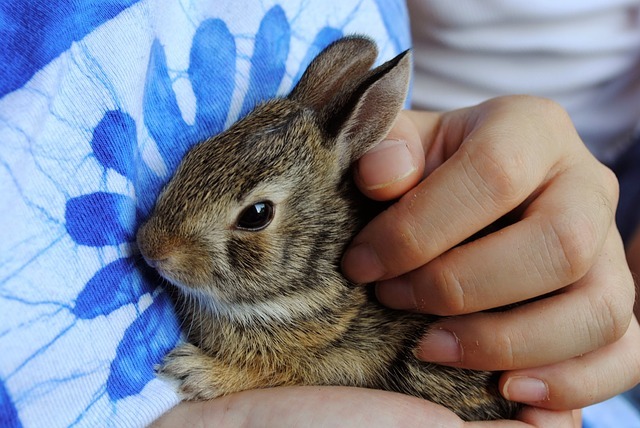 The fee for getting a rabbit from a pet rescue center are somewhere between $5 and $20. 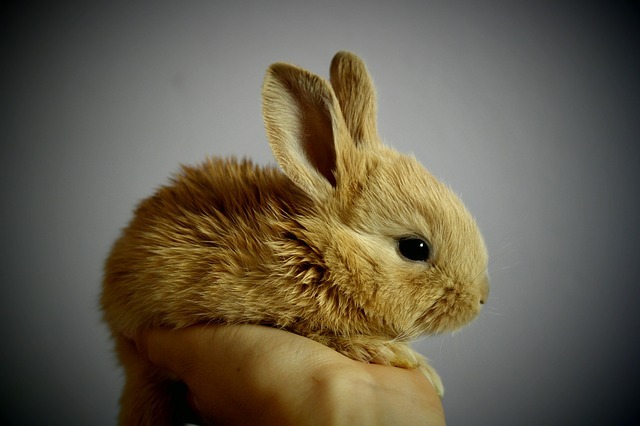 Expect to pay more for a breeding rabbit with champion bloodlines and less for a very common one. In addition to the pet stores, you could also try various breeders, as sometimes, their prices for a specific breed might be lower than that of pet store. After you’ve had your rabbit, it’s time to buy him a tiny home inside your home and a litter box for his needs. The prices vary here as well. If you plan on keeping your rabbit outdoors in your backyard, you will need a hatch, and the price for a good sturdy one spins around $150 – $300. 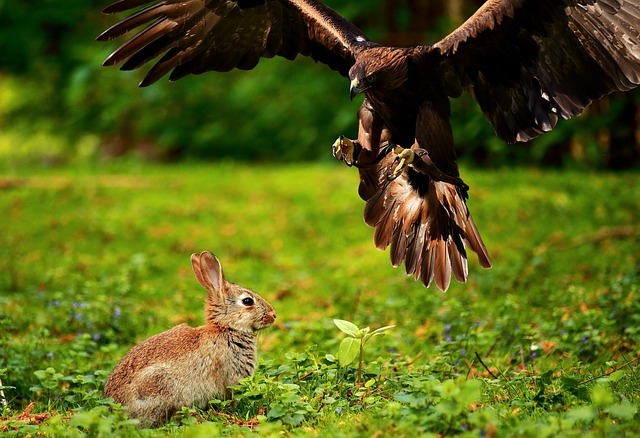 If you want to keep your rabbit indoors, then you will need an indoor cage. These are cheaper than outdoor hatches, but you should still expect to pay somewhere between $50 and $100 on a good one. 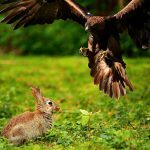 There’s a possibility that you could designate a specific room for your rabbit, so might get away with a smaller and cheaper cage and be able to let him run around his room without any problem. 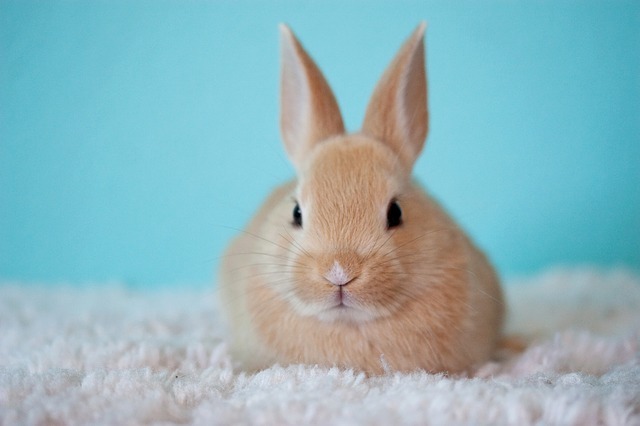 In addition to a cage, if your rabbit is leaving inside your home, you will also need a litter box which costs around $5 – $15, depending on the build quality. If you have a large home, you should consider having more than one litter box, and that will increase the costs. Once you’ve finished with the initial purchase of a cage and litter box, it’s the time to buy your bun some toys and other accessories. Sure, these are optional, but many people prefer them, as it gives their furry hopping friends something to do when they’re not at home. There are all kinds of accessories, but we’ll list some of the most common ones here. 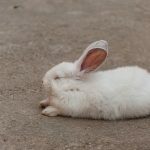 You’ll need a food and a water bowl, each of them costing around $5 to $10, an exercise pen which goes to $30, a soft blanket for your bunny to lie on costing around $5 – here you can also improvise with something you already have. Then there’s nail clippers, hair brushes or a play house of some sort, with each costing about $5. You can also use a hay feeder which costs around $50 to $100. After you’ve made all the initial purchases, there are monthly costs with various supplies like food and litter. Here, prices vary a lot depending on the quality of the supplies you buy and if you buy them in bulk or not. Buying in bulk is recommended because it’s generally cheaper. The brand is also an important thing to look for, as some of them push the prices up without any real reason. So here are the prices, calculated for one rabbit only per month. Litter costs around $15 to $20. Hay will go up to $20, depending on where you get it from. Leafy greens and vegetables will cost an additional $40. Rabbit pellets should rise to only $5. As you can see, the costs with supplies can rise to a total of $85. Neutering or spaying your bunny will cost you upwards of $150 – $250 initially. Afterwards, the annual costs should rise to around $30 – $100 depending on the veterinary and the location. In addition to all these, there are other costs that you can’t plan for in the beginning. If your rabbit gets sick, expect to pay a good sum for vet bills. Also, if your furry friend destroys some pieces of furniture in your home, those are also costs you should take into account. Repairing or replacing the initial bought equipment will also need to be accounted for at some point. As a conclusion, take these numbers as an approximation of the real costs of owning a rabbit. The initial costs can go up between $220 and $700 depending the rabbit breed you want, where you get it from and what accessories you want and their build quality. If you want to neuter or spay him, add up to $250 more. 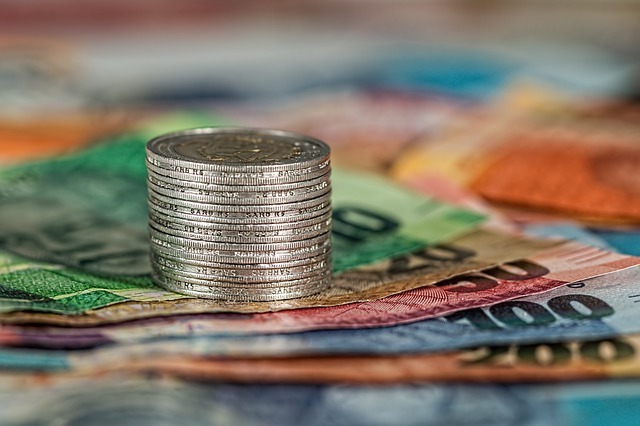 After you’ve made your initial purchases, the monthly costs should be somewhere between $50 and $100, including an annual vet visit divided per month.